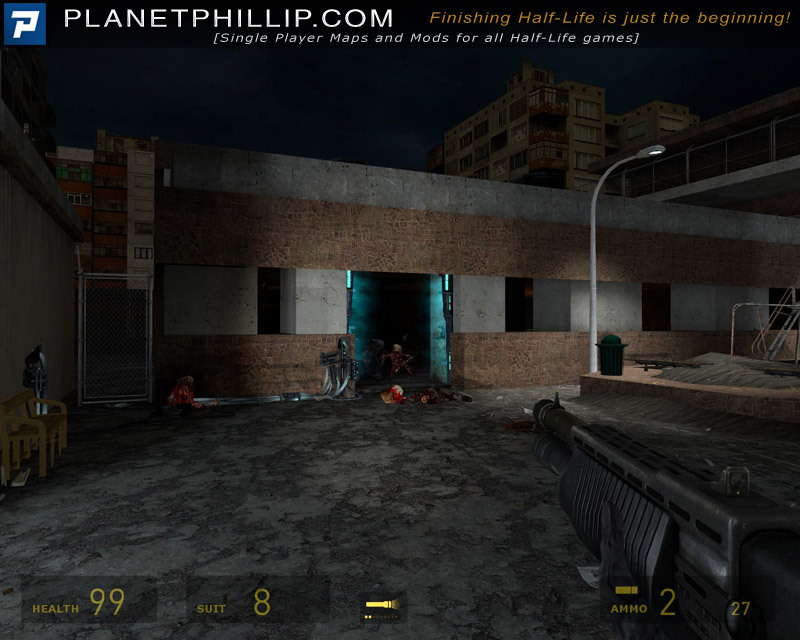 City 45 is a single player map that carries the player through the initial events of a zombie apocalypse in an apartment complex. 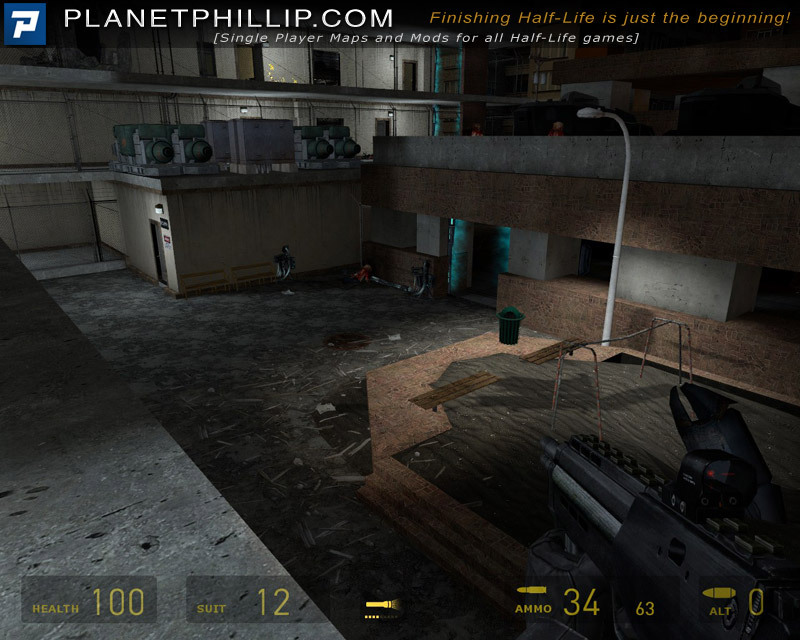 The focus of the map is to create an escalating sense of danger and excitement throughout the level without increasing the difficulty of the map. 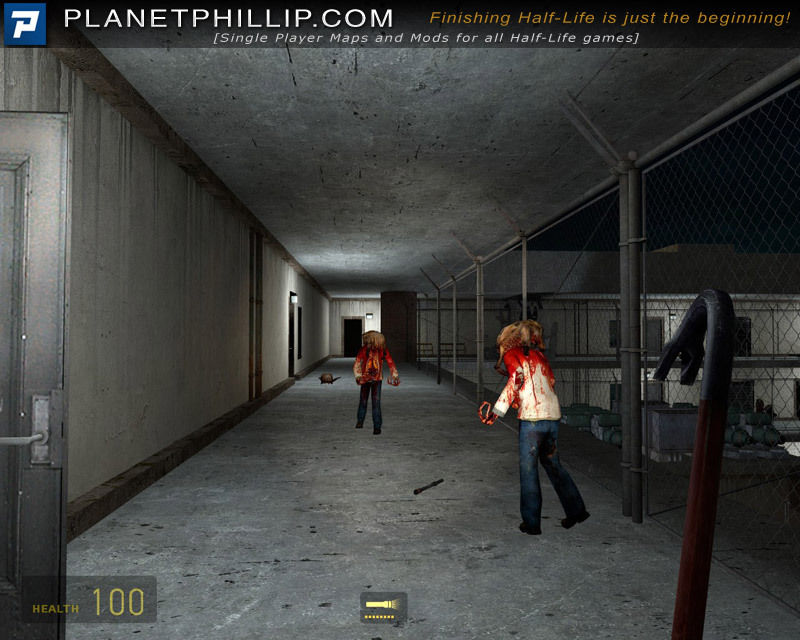 The player starts fighting a couple of zombies with crowbar. 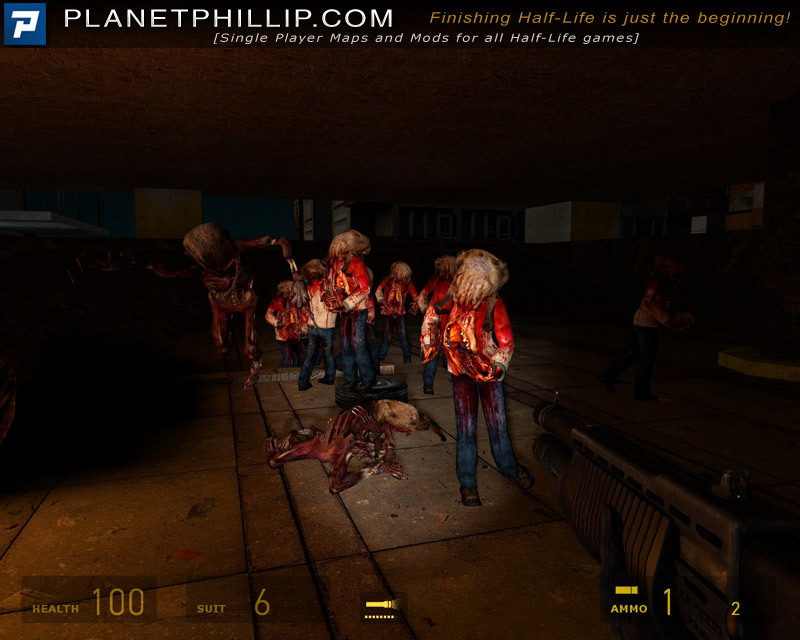 Near the end of the map, the player has to fend off a increasing horde of zombies but by this time the player also has a variety weapons, squad mates and turrets to help him. 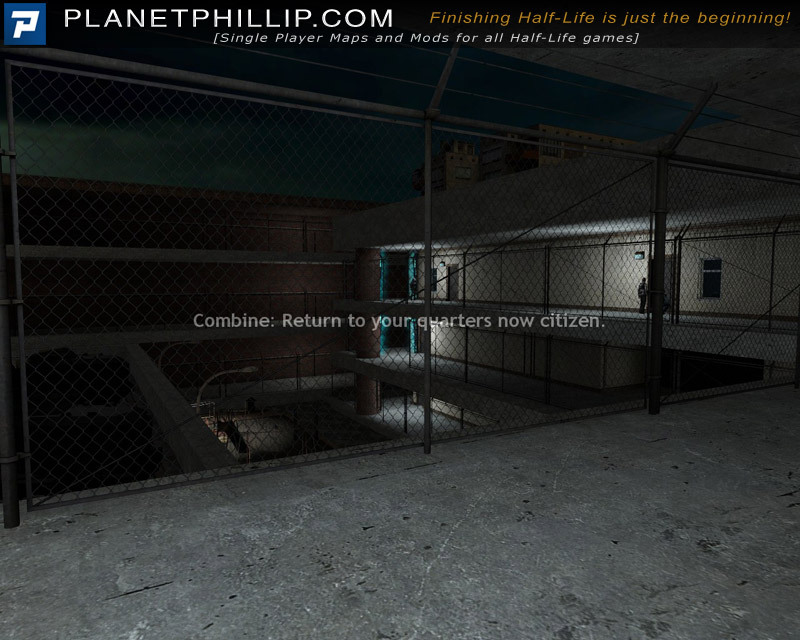 Copy SP-City45.bsp into your Half-Life 2: Episode Two Maps folder. Open the console and type map SP-City45. This was a lucky find. Overall I enjoyed it but as with many maps that try to tell a story with text on the screen it fails. Playing a map and trying to read text is just wrong, unless you do it like Aam Foster did in Minerva. When I was moving around the text disappeared in the flames or other light background. Besides that little flaw I quite enjoyed the map. It’s quite a small area but the way you are led through it is pretty good., there’s no backtracking, just finding the right way. 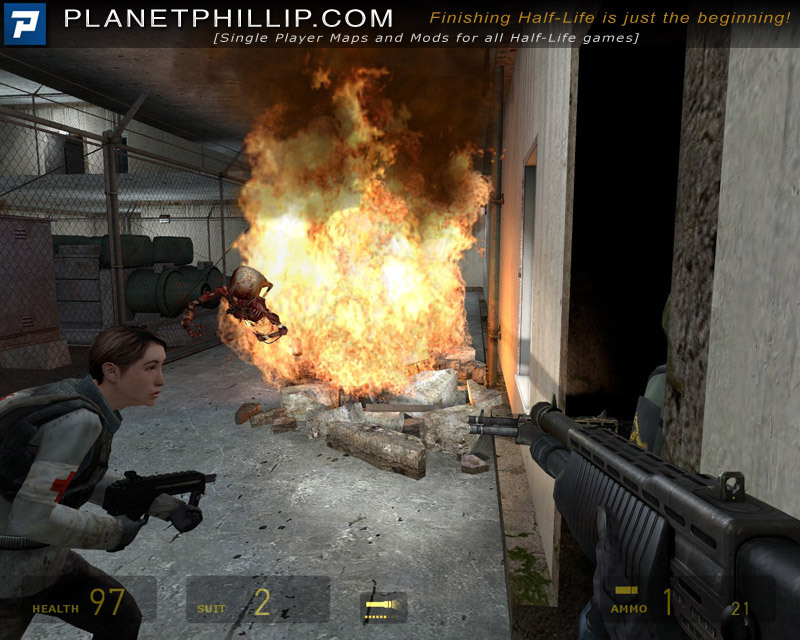 The start seems a little contrived, with an explosion and suddenly you ahev the HEV, but it must be hard creating believable situations with few resources. Whilst, the author quotes L4D amd Dawn Of The Dead as inspirations it’s not too dark, at least never dark enough to worry. I suppose we have some symmetry because not only is the beginning a little strange so is the dead – it’s very sudden. Happy I don’t live there. Thank you Jason Glenn . I’m off to play it again. Great map! The beginning was pretty cool, but then all of a sudden it’s like “boom, the zombies are loose, now go fight.” I like how the citizens were involved, and I also like the driveable car. But it ends all too soon. There’s lots of good tactical combat here, or you could just slug it out I suppose. Great weapon and scenario variety for one map. My fave of the last wave of maps so far. everything is solid, good story, end was funny, nearly everything was perfect! 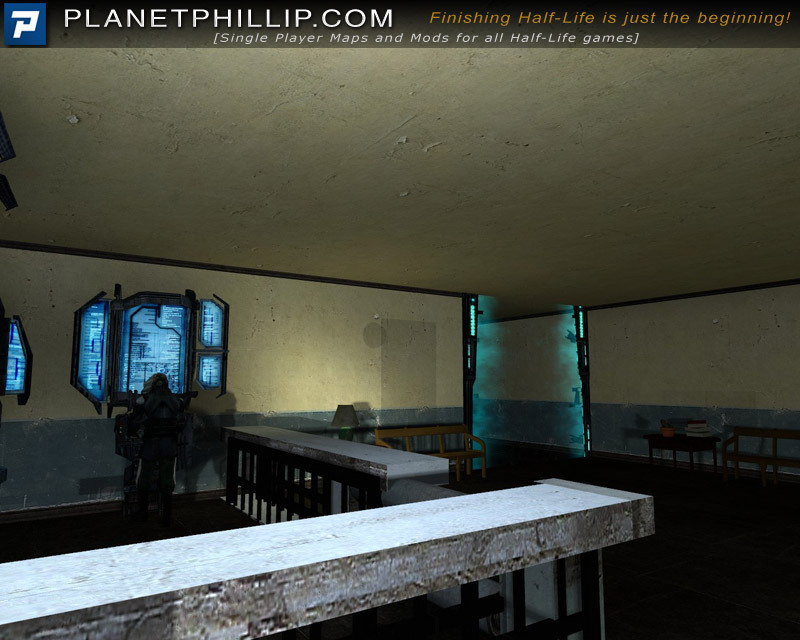 After five glowing comments I hardly dare add mine…..Though I enjoyed the overall experience, and thought that the layout & design worked pretty well, this was the first really laggy map for quite a long time. Now I’m not up on the technical side of mapping so don’t know why this should be, but the other recent maps have all run as smooth as clockwork, so why doesn’t this one?The hundreds of zombies in the car-park seemed like the author thought they’d just go in for the over-kill rather than a well thought out battle, which was a shame. 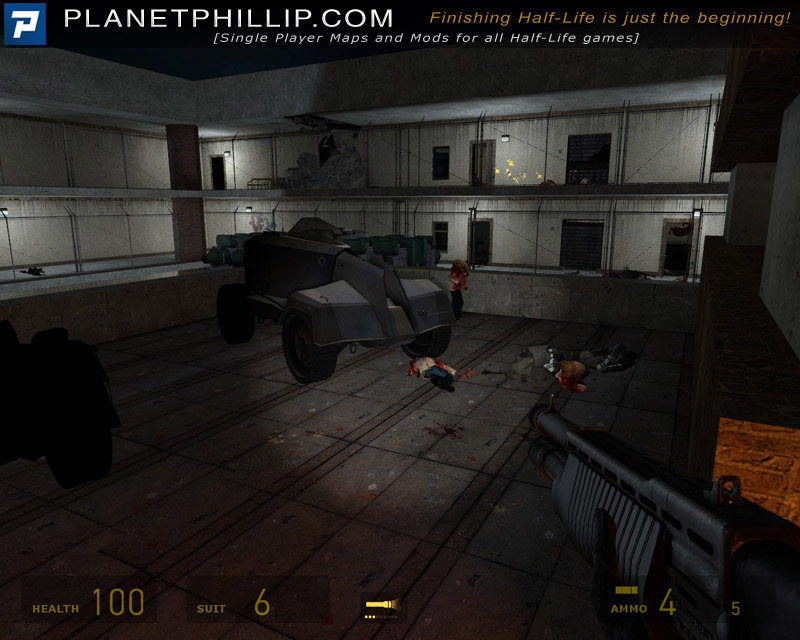 The mass killing by vehicle has been done before, but is still sort of fun.In short the map had promise, but just needed a bit more tweaking to really make it shine. Ok if you like zombie maps either wise don’t bother. Could not find much to credit this map with, action is poorly scripted zombie set within small and crumpet design apartments, which may have been realistic in layout but totally inadequate for zombie encounters with a rebel squad constantly getting in the way of your every movement. Frame rate was fluctuating all the time, slowing down with every piece of action making the final escape amidst hoards of zombies a joke. This is a very much below average map in every element of set design, layout, visuals and gameplay and if you don’t download this one, then you are not missing much. 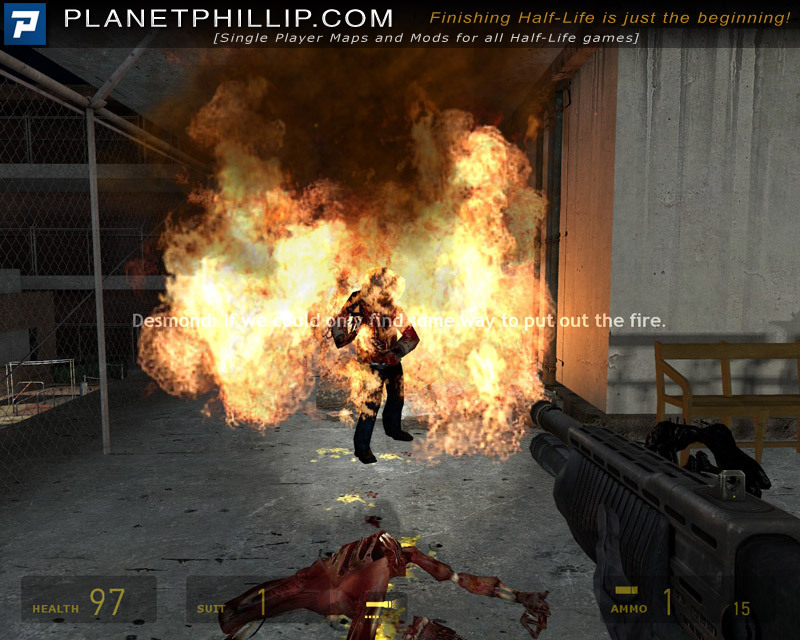 The level design was pretty good for a mod, and it had a few signature moments that makes the minor problems forgivable. That I would have liked it to be a good deal longer is a sign that I liked what I was given. You will too. It’s actually a pretty good map, I just didn’t like it enough to give it a Play It recommend. I think I had a little lag, but not so as to affect gameplay very much. What I mostly didn’t like were the cramped environs in the apartments–I couldn’t even bash the cardboard boxes to get them out of my way. I couldn’t pick up one of the boxes of shotgun ammo, and one of the boxes of .357 ammo seemed like it was just decoration? Don’t do that to me, please. Use a plant. This is quite an interesting map. It starts off story-orientated but progresses more towards zombie combat as it goes on. The story and setting are interesting and it’s a very atmospheric map in my opinion. 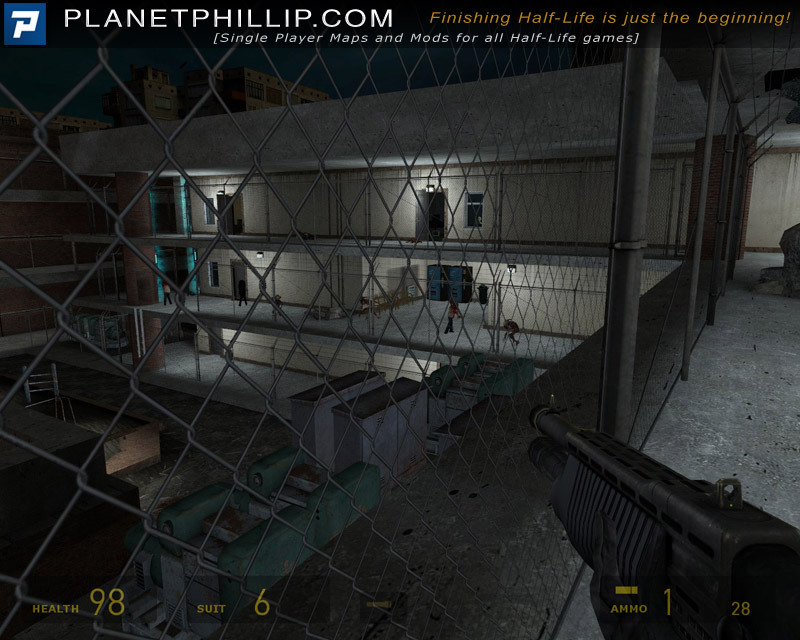 The apartments are pretty fun to fight through and make your way around. I probably shouldn’t have taken 15 minutes to beat it but I didn’t realize I was supposed to get in the car, I was too busy killing zombies. I thought the goal was just to kill them all which I did with the help of turrets. It was pretty fun doing that, but it wouldn’t end after they were all dead and all I had was a car and a pile of bodies. I had to load a previous save and then the ending worked. The last thing I’d like to say is that the decorating was really good. I had fun with this map and would certainly recommend it. I really like the setting and the idea is cool, but it’s just not that fun to play through. Your two rebel pals constantly get stuck on things and you have to wait for them/push things around for them a lot. 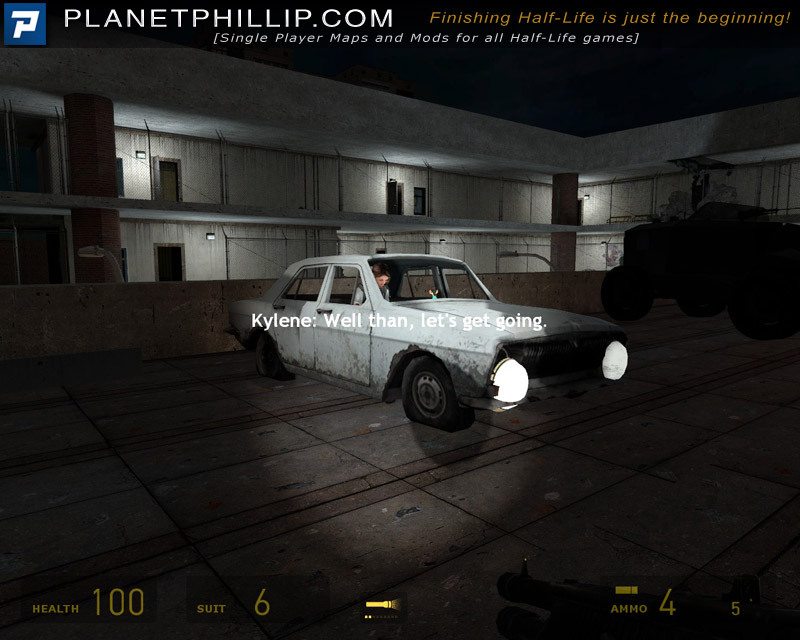 The combat is decent and I like the exploration, and the end part is rather fun (the defense and the car). The visuals outside are also rather pretty to look at and it’s nice to have a new model for the car. It’s a neat map, but I don’t plan on playing it again. It was tough to decide between MAYBE and THINK TWICE, but I think I’ll be nice to it and give it a MAYBE. Besides the simple mapping, this map is great. 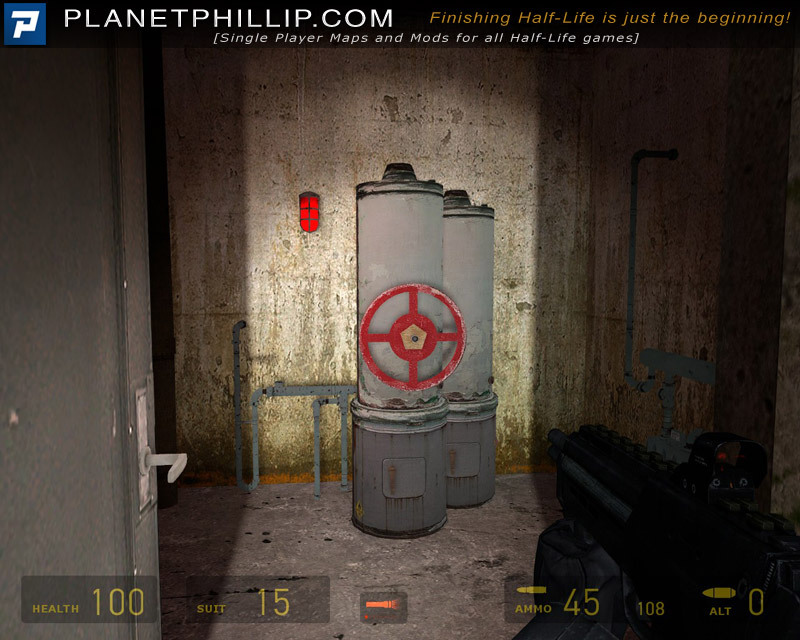 The level design of this map is really really basic. The LOD is not that great, and there aren’t a lot of detail. However, I really liked the car in the end! You simply change the model, this is pretty simple, indeed, the thing I like about it was his light! It was a bit strange when you move the car sometimes, but it was a really clever move and really good details! Yet, the spawning of zombies, in the end, is too bad! 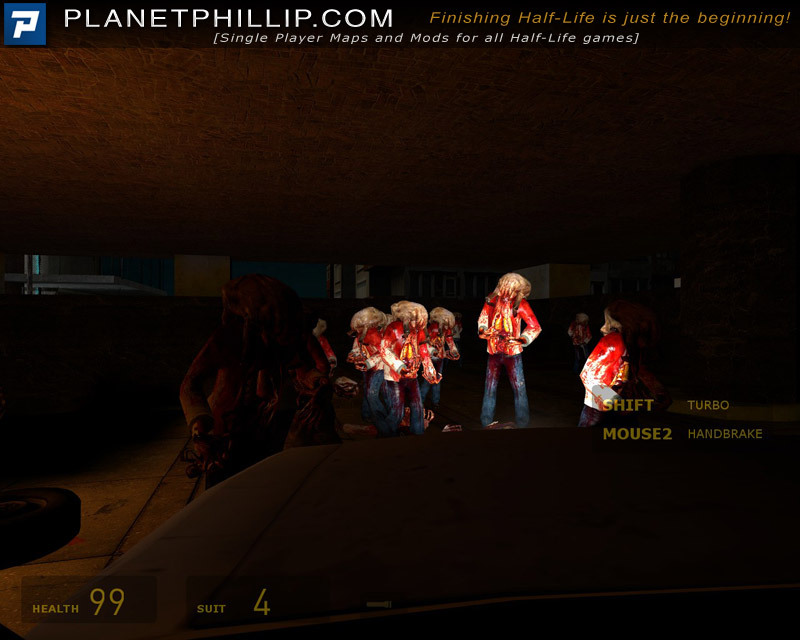 We could saw zombies appearing in front of us, and that one of the things you don’t want as a mapper, and as a gamer! Warning with using NPCs that follow you! I have my sv_cheats to 1 the whole game because sometimes, some np blocked you and won’t budge when you enter some apartments! 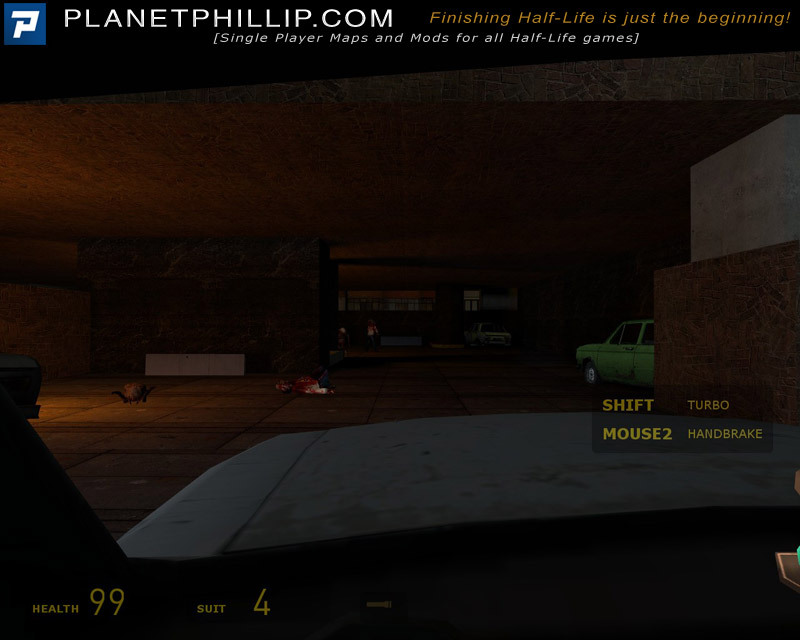 This is not a big and that good map, but you should give it a try if you have nothing to do on a Sunday afternoon! 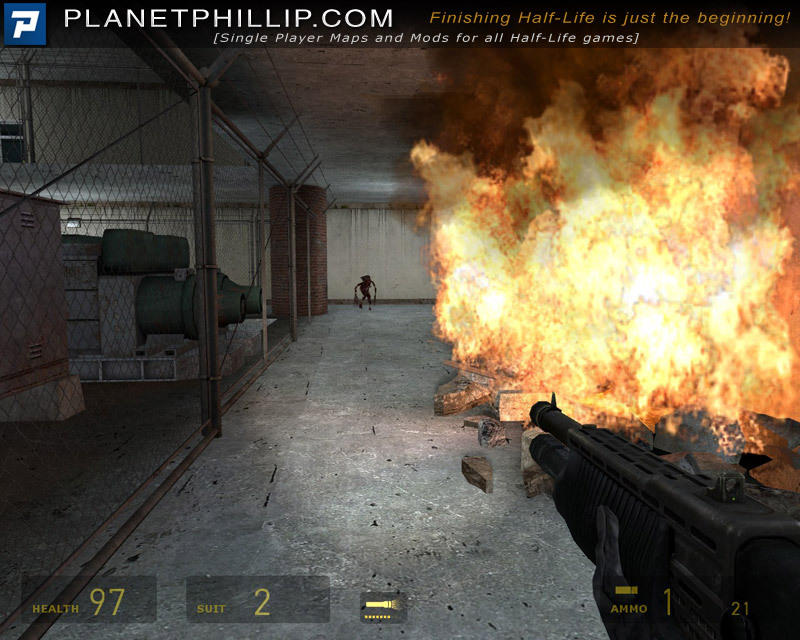 I loved this map and I can live with its flaws (HEV suit, etc) because it’s fun and reminds me of L4D2. The map itself is a little odd but it’s designed pretty well. Loving the run through, even though the rooms are overly cluttered with objects making it frustrating to walk easily. The other two characters sometimes got stuck which wasn’t really that annoying as I generally hate the help and there wasn’t enough baddies for three… Thankfully, it’s got lighting too as total darkness would have killed it.